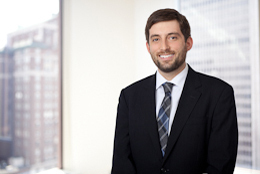 Alexander Bergersen is an associate in the New York office where he works primarily in the antitrust practice group. Alexander’s practice focuses on merger investigations, merger analysis, antitrust counseling, and antitrust litigation. He has worked on domestic merger investigations brought by both the Federal Trade Commission and the Department of Justice. He has also worked on merger filings and investigations in the European Union, Australia, Brazil, Canada, China, India, Israel, Japan, Mexico, Russia, South Africa, South Korea, Switzerland, Taiwan, Turkey and more. At the University of Chicago Law School, Alexander provided research assistance to Professor Anu Bradford in connection with a project analyzing global antitrust enforcement and trade policy. Represented Dell Inc. in its $60 billion acquisition of EMC Corp. The transaction received unconditional clearance in jurisdictions around the world including the US, European Union, Brazil and China. Represented Ball Corporation in connection with its $6.85 billion acquisition of Rexam PLC. Represented H.I.G. Capital and Caraustar Industries, Inc., a portfolio company of H.I.G. Capital, in connection with Caraustar’s acquisition of The Newark Group. The Department of Justice closed its six-month investigation without requiring a remedy. Represented Rapid Aid, Ltd., a Canadian manufacturer of hot-cold therapy products, in an action brought by its rival Therapearl alleging monopolization and attempted monopolization, as well as state claims. The U.S. District Court for the District of Maryland dismissed all claims against Rapid Aid. Represented Thermo Fisher Scientific in connection with its $13.6 billion acquisition of Life Technologies and Thermo Fisher Scientific’s related $1 billion divestiture to General Electric.